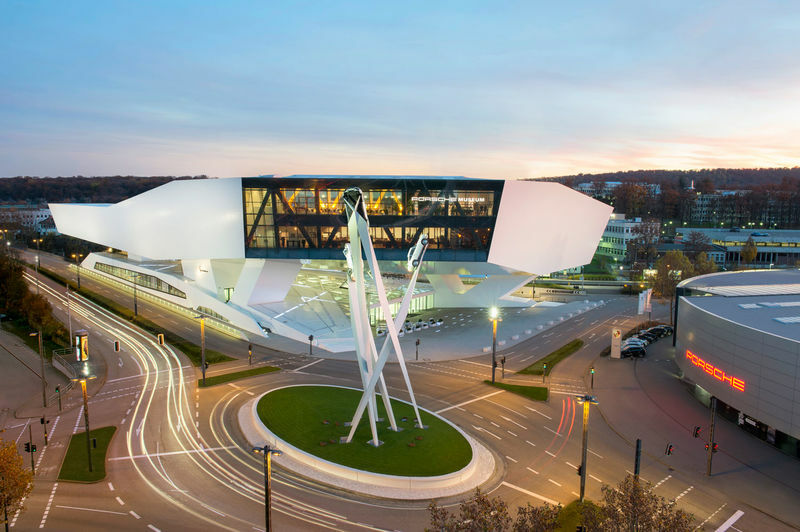 Porsche has always been building fascinating cars but, the most spectacular architectural project of the sports car manufacturer so far is beyond any doubt the Porsche museum in Zuffenhausen. 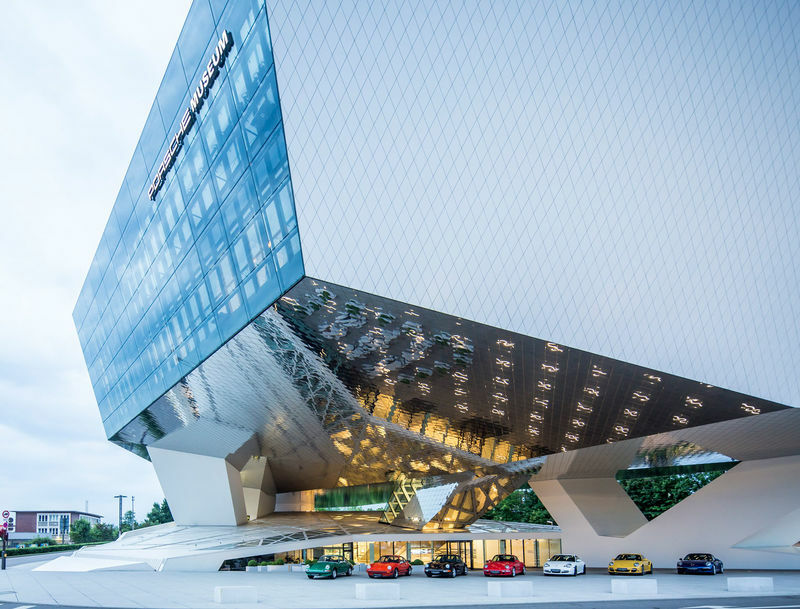 The aim was to create architecture that translates the dynamics of the brand Porsche. 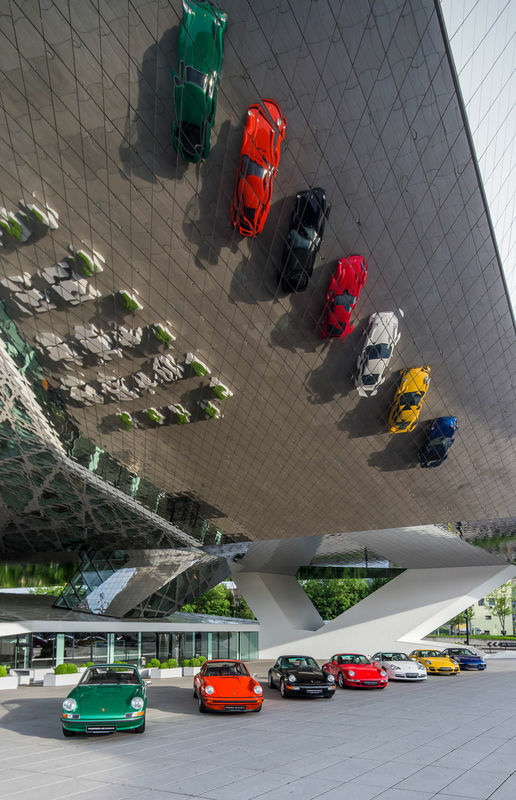 The main body of 140 meters length rests on only three pillars supported by an enormous steel structure. This is why the massive monolith almost seems to be floating. A long escalator takes visitors into the building. The impressive exhibition is remarkably purist in its conception. 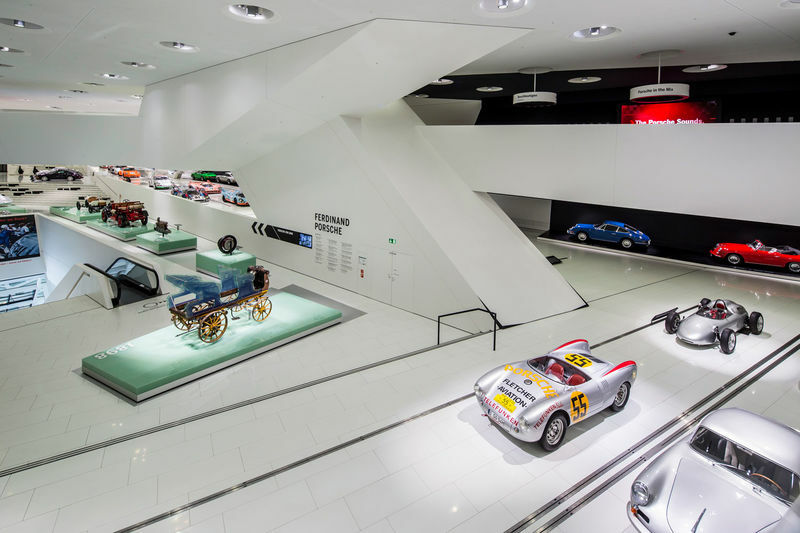 About 80 vehicles and 200 smaller items are on display, conveying the history of Porsche. On display are classics such as the 356, 911 or 917 models as also the early 20th century achievements of Professor Ferdinand Porsche. Even the Beetle constructed by him has a place of pride. 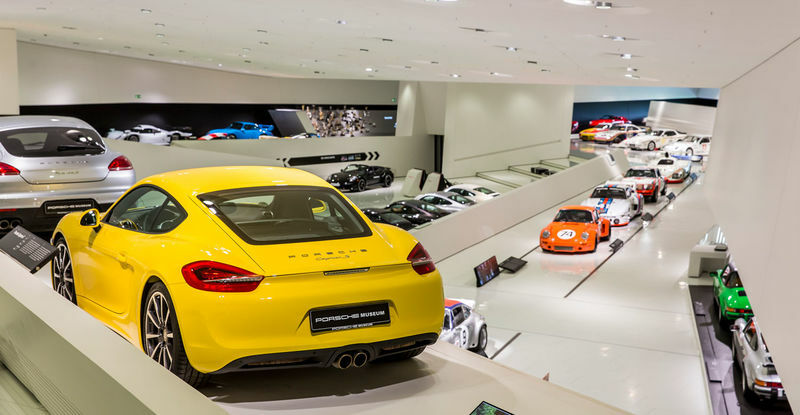 To ensure that one does not think of Porsche within conventional, statistical limits, the objects in the exhibit are regularly changed and combined differently. In order to guarantee expert maintenance of the historical racing and sports cars, the museum has its own workshop of 26,000 square meters. 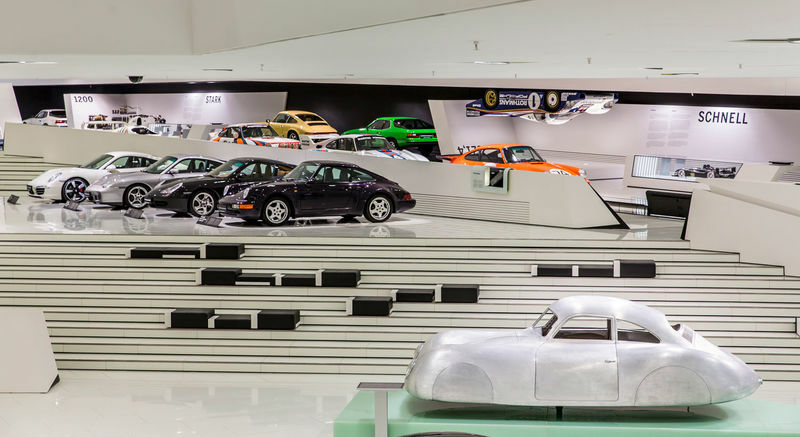 A glass partition allows visitors to watch experts at work on the classic Porsche cars. The service of the workshop is in high demand considering that more than 70% of all cars Porsche ever built are still out there on the road! Tuesday 09:00 - 18:00 Die Kassen schließen um 17:30 Uhr. Öffnungszeiten an Feiertagen können abweichen. Wednesday 09:00 - 18:00 Die Kassen schließen um 17:30 Uhr. Öffnungszeiten an Feiertagen können abweichen. Thursday 09:00 - 18:00 Die Kassen schließen um 17:30 Uhr. Öffnungszeiten an Feiertagen können abweichen. Friday 09:00 - 18:00 Die Kassen schließen um 17:30 Uhr. Öffnungszeiten an Feiertagen können abweichen. Saturday 09:00 - 18:00 Die Kassen schließen um 17:30 Uhr. Öffnungszeiten an Feiertagen können abweichen. Sunday 09:00 - 18:00 Die Kassen schließen um 17:30 Uhr. Öffnungszeiten an Feiertagen können abweichen.